In 2017, Microbrasserie Pit Caribou had a spectacular year, and that’s probably putting it lightly. Early on, they released an ambitious, extremely well received barrel-aged sour blend called Neuvin, and it just snowballed from there. Countless barrel-aged sours came down the pipeline – so much so, it became very difficult to keep track. I alone have had over fifteen different BA bottles from Pit Caribou this year, and that’s not even all of them. And what’s truly impressive is that most, if not all, have been stellar. 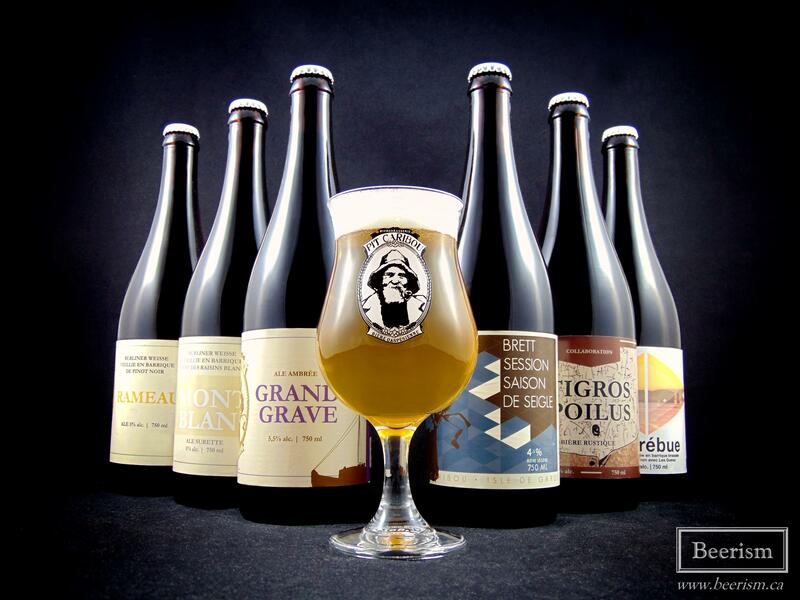 Perhaps the most sought after and arguably impressive bottle they released last year was Perséides, Quebec’s first 100% spontaneously fermented beer. 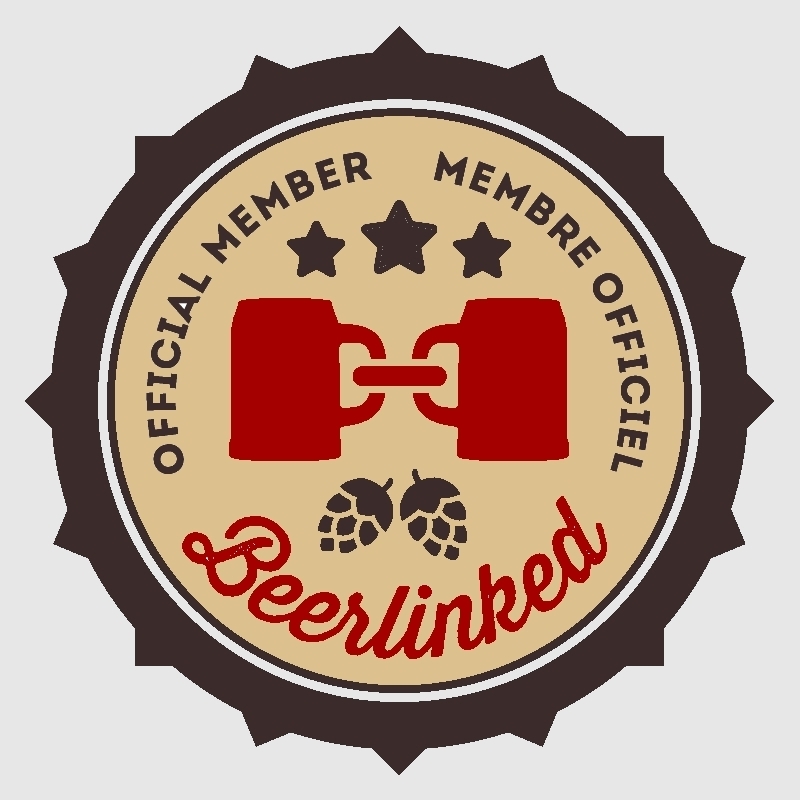 A feat that not only needed skillful brewing practices, but also required navigating through some legal red tape. However, all was successful, and I wrote about it right here. As well, they created Flore du Québec, a beer fermented with a yeast strain gathered from Pit Caribou’s home in Gaspe. Although not as illustrious and acclaimed as Percéides, it was certainly a solid offering. Additionally, this wonder-brewery has done several collaborations in 2017, and again, released a plethora of mixed-fermented (often sour) barrel-aged bottles that pretty much warm my heart with every sip. I selected a few today to talk about – some collabs, some not – and just think, this is just scratching the surface. 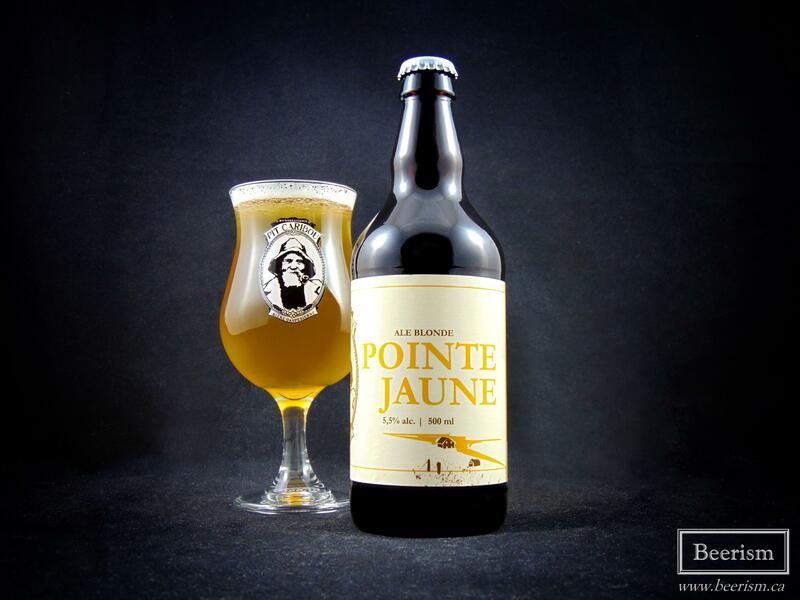 Pointe Jaune is a light coloured wild ale, aged in Pinot Noir barrels with brettanomyces. The nose is a spectacular mix of musty brett phenols, juicy wine-infused oak, and several fruity layers. Apple and pear aromatics are huge here, followed by some white grapes and a touch of vanilla. Wow, this is lovely. The palate matches the nose, carrying some subtle pear flesh and white wine vinous complexity. There is a ton of oak, lending rich vanilla and light spiciness. The body is a touch slick, presenting an observed but subdued carbonation that lets you down this sucker really easily. The acidity is certainly present, but well balanced and integrates beautifully with the rest of the beer. This one is amazing. 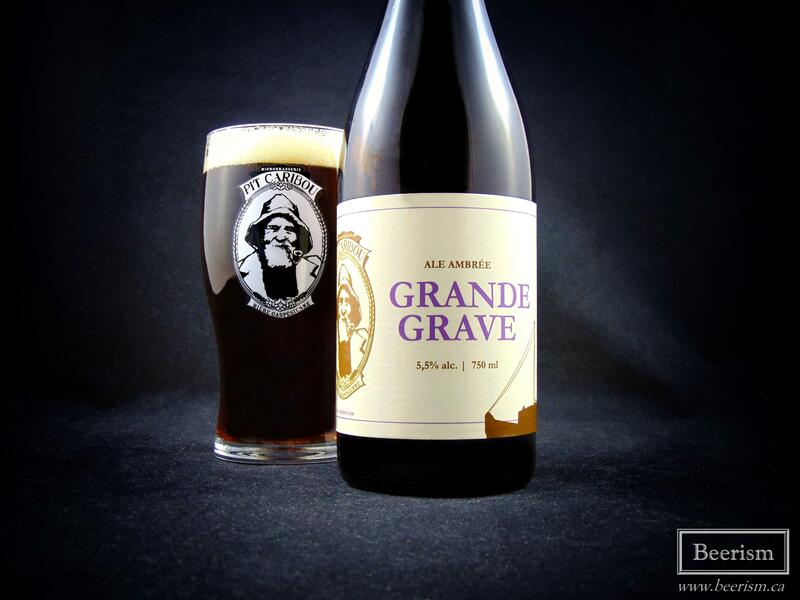 Grande Grave is an amber wild ale, aged in whiskey barrels. It pours out a rich chestnut brown with lots of red highlights. The nose carries a mix of caramel maltiness alongside floral and musty brett funk. Oak-forward vanilla notes blend with fruity esters, showcasing lots of dried fruit, like raisins and dates. Up front it’s tart, tannic, and way drier than the nose foretold. There is this amazing creamy head that never dissipates, and the body is soft, round, and slick. Dried fruits meet tart under-ripe apples, chocolate, cherry, and just a hint of nuttiness. The whiskey notes are not particularly present, but the barrel makes the beer very tannic, with a lingering dryness that reminds me of grape skin. It’s lovely, incredibly drinkable, and just different enough to be exciting. 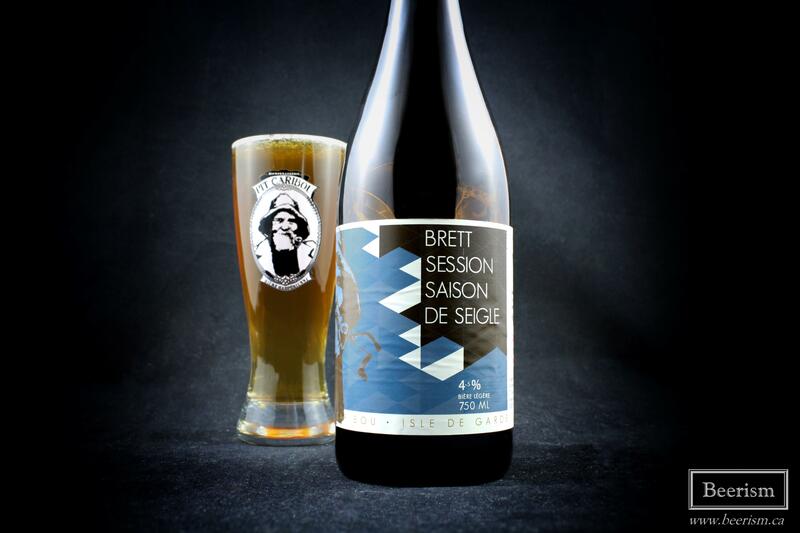 Brett Session Saison de Seigle is a collaboration between Pit Caribou and Isle de Garde. This beer first surfaced about two years ago. The low ABV and brett fermentation made it highly drinkable and dry, while the rye added a spicy complexity and luscious body – I was a big fan of this beer at the time. Now they’ve taken that same recipe and thrown it into Rum barrels for 10 months. Needless to say, I’m highly intrigued. The nose is tangy and rather acidic, with some rich oak and light vanilla. The palate matches, carrying a tangy layer that provides a green apple tartness. The rye comes through as well, creating a nice chewy body. Oak tannins add a pleasant finish to the roundness of the rye, with the subtle rum components allowing for hints of sweetness. Rum barrel-aged beer can be hit or miss, but this worked very well. 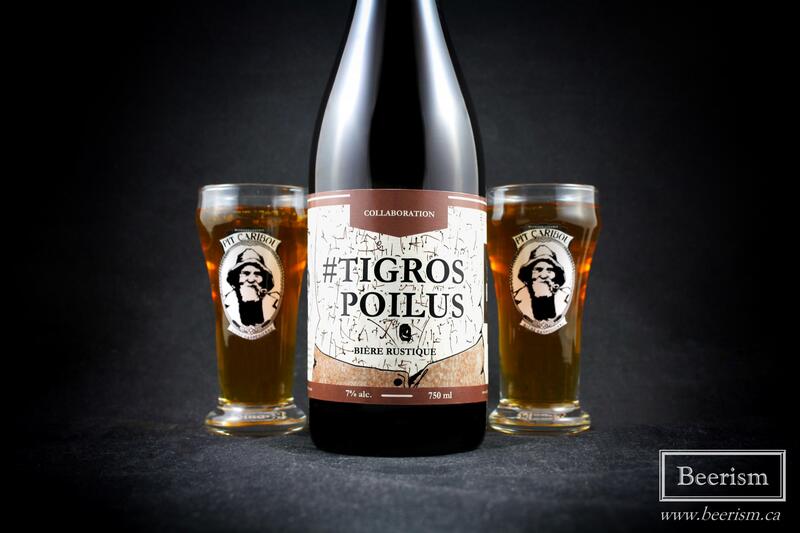 #Ti-gros Poilus is a collaboration between Pit Caribou and the amazing Pat Roy from Sutton Brouërie. This rustic beer begins with the malt base of Pit Caribou’s American IPA, however they have replaced the usual hops with some that were aged. Then the beer itself was aged for a year and a half in Pinot Noir barrels. The nose is an awesome mix of rich vanilla oakiness and big vinous wine notes. Some maltiness comes through as well, lending caramel and candied fruits. On the palate the wine is even more apparent, with an almost bracing tannic bitterness that cuts through everything. Any sweetness is pretty much washed away by vinous grape notes, leaving a big oaky vanilla finish. There is a nice acidity here, lending ample tartness to the finish. Hints of the original caramel malt base come through as well, but it’s more of an afterthought at this point. Delicious. 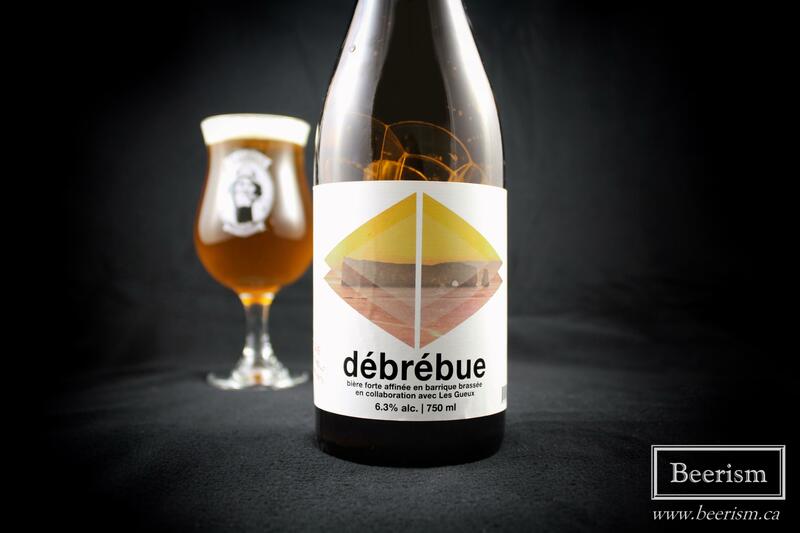 Débrébue is a barrel aged amber coloured beer, brewed in collaboration with Les Gueux. The nose wafts beautiful dusty brett phenols alongside bright vinous wine notes. Apples and pears meet lots of stone fruits, like apricot and peach. It’s a touch dank as well, carrying ample oak funk and some seemingly bright hoppiness. The palate is a bit richer in comparison to the other bottles I’ve talked about. It’s still dry, but there is a roundness here. Apricot, peach and apple are at the front, with a lingering tannic astringency that cuts through everything nicely. It’s also a touch sweet and sticky, but I’m enjoying the huge juicy stone fruit layers. Great stuff. I’m not sure exactly what Pit Caribou has in store for 2018, but it’s certainly going to be tough to top the plethora of amazing bottles released as well as the innovative brewing practices they spearheaded last year. That said, I’m tremendously excited to watch it all unfold, and will certainly be revisiting this brewery again soon on Beerism.